Classes are back in session and anime’s favorite super heroes in training have returned to U.A. High School for another exciting season of “My Hero Academia.” Funimation® revealed today that Season 3 of the top-rated series will premiere on Saturday, April 7, 2018. As with last season, the first six episodes of “My Hero Academia” will simultaneously stream on the same day and date as the Japanese TV broadcast – in SimulDub™ on FunimationNow in the U.S., Canada, U.K., Ireland, New Zealand and Australia and in subtitled simulcast on Hulu and Crunchyroll. All 25 episodes of “My Hero Academia” Season 3 will stream in SimulDub on FunimationNow and in subtitled simulcast on both Hulu and Crunchyroll. Ahead of the Season 3 premiere, Funimation will be releasing “My Hero Academia” Season 2 Part 1 on home video on Tuesday, April 3. Season 2 Part 1 will be available as a Blu-ray/DVD combo or a Blu-ray, DVD & Digital Limited Edition in a special chipboard box along with an assortment of collectible souvenirs including a 40-page art book and set of ten holographic trading cards. Also on this date, the English dub of Season 2 Part 1 (episodes 14-25) will become available to stream exclusively on Hulu. Summer is here, and the heroes of Class 1-A and 1-B are in for the toughest training camp of their lives! A group of seasoned pros pushes everyone’s Quirks to new heights as the students face one overwhelming challenge after another. Braving the elements in this secret location becomes the least of their worries when routine training turns into a critical struggle for survival. For more about “My Hero Academia” Season 3, including character information and how to “join the Academy” to receive exclusive news and information, visit funimation.com/myheroclass. To watch new and past English dub episodes of “My Hero Academia” or purchase home videos and licensed merchandise, go to funimation.com/myheroacademia. 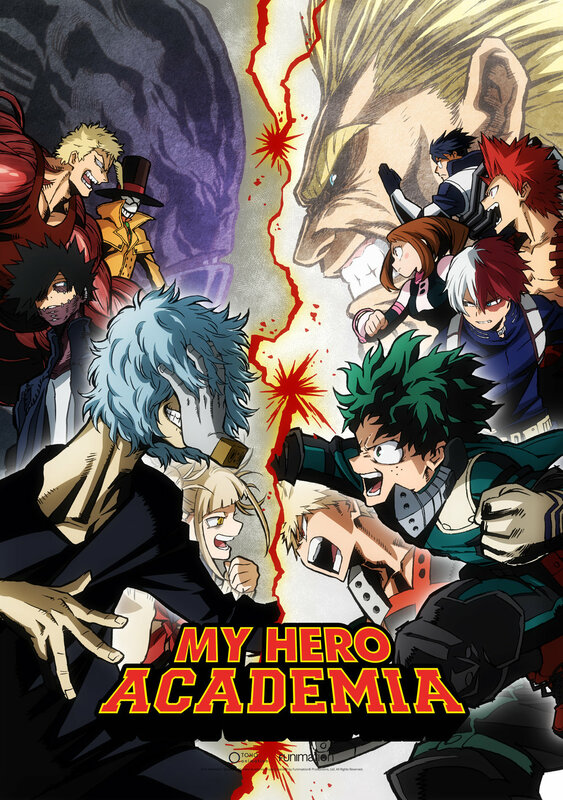 Past seasons of “My Hero Academia” are also available to watch on both Hulu and Crunchyroll. Like Funimation on Facebook at facebook.com/funimation and follow them on both Twitter at twitter.com/funimation and on Instagram at instagram.com/funimation.